The National Health Service (NHS) has agreed its largest ever deal to privatize services in an attempt to tackle the increasing backlog of patients awaiting surgery, scans and tests. 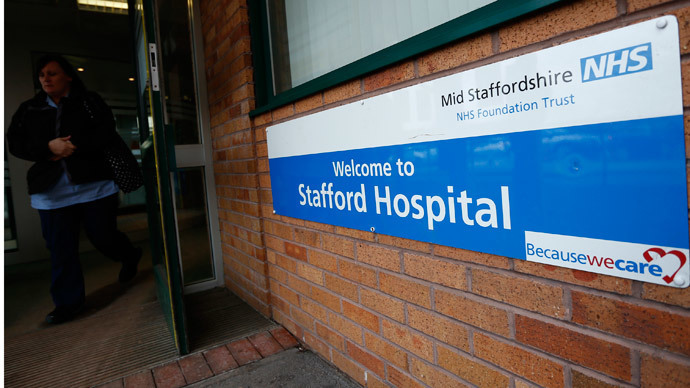 Critics say the move is undemocratic and threatens care standards. The deal, worth up to £780 million, will see 11 private firms perform heart and joint surgery, carry out scans and provide diagnostic tests for patients from mobile medical facilities. NHS Supply Chain secured the deal, which marks an increase in the number of mobile units being used for procedures. Local NHS trusts will be able to buy in the services if they are suffering a backlog. However, the move will now allow the health service to rapidly buy in private services, causing concern among supporters of continued public ownership. The Labour Party’s Shadow Health Secretary, Andy Burnham, said the contract showed that “chunks” of the health service were being sold off. The Department of Health, however, claims the deal does not represent an increase in levels of privatization. “It is outrageous that large chunks of the NHS are being parceled up and sold off without the permission of a single person in this country,” Burnham said. “This now needs to become an election issue. The country has never given its approval for the NHS to be bought and sold in this way. “This sounds like a race to the bottom. It’s clear that quality is not the deciding factor when people with poor care records are winning the contracts,” he said. Some of the private companies involved in the deal have previously faced criticism for providing substandard care for patients in hospitals and care homes. The Guardian calculates the four-year deal could secure the firms a maximum profit of £780 million, comprising of five national contracts of £240 million, £160 million, £240 million, £80 million and £60 million, respectively. It is the largest private deal since Virgin Care was awarded £500 million in 2012 to provide community services in Surrey until 2017. Dr Jacky Davis, founding member of Keep Our NHS Public and author of NHS for Sale, told RT the deal was a last ditch attempt to rectify damage to the NHS before the election. "What we are seeing now is Tory scorched earth policy, pushing through their biggest ever NHS privatisation deal. And they are doing this ahead of an election which they are afraid they wont win because of the damage they have done to the NHS." "Jeremy Hunt insists they are not privatising the NHS but this is just nonsense." she added. "Private firms don't want to run most of the NHS because they can't make a profit. But just look instead at the profitable areas, where they are running up to two thirds of the services. These include community services and the diagnostic tests and elective surgery involved in this massive contract. This is privatisation by any definition." Davis remarked that another Conservative government would "be the end of the NHS". Vanguard, one of the companies involved in the recent deal, lost its previous contract with a hospital after it emerged their surgeons had performed “rushed” operations and patients had reported serious complications. They are currently facing legal action over a series of eye operations carried on at Musgrove Hospital in 2014. Another company, Circle, controversially pulled out of the running of Hitchingbrooke Hospital following a damning report into levels of care. Circle was the first private firm to manage an NHS hospital.